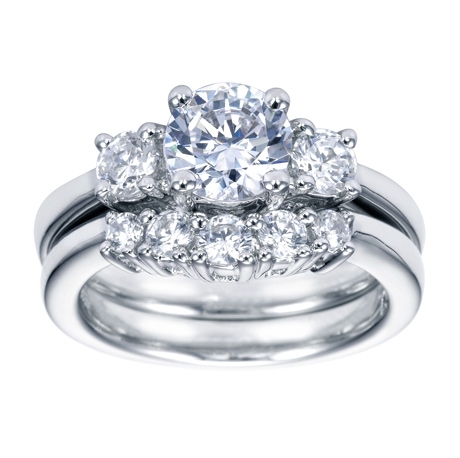 One diamond is a girl's best friend, but 3 is more than she could hope for. 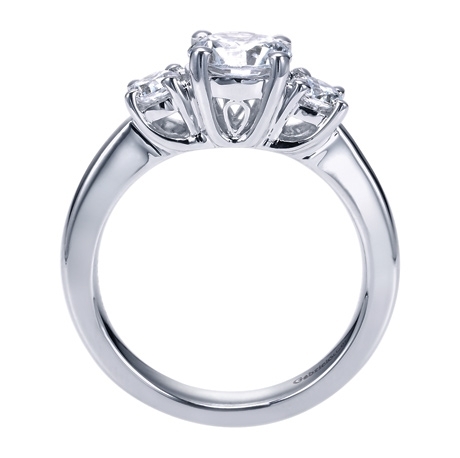 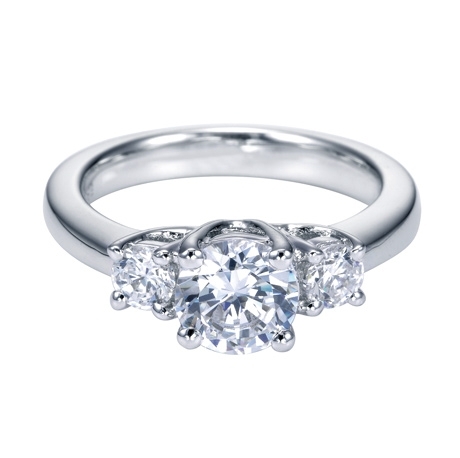 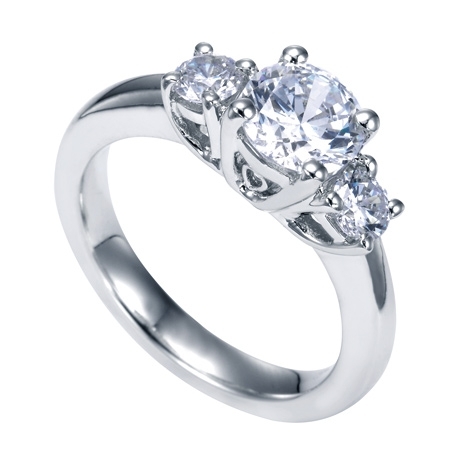 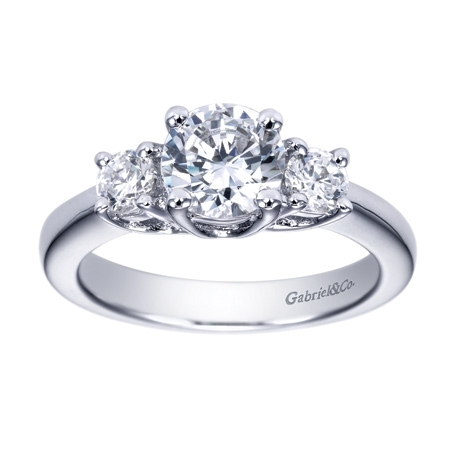 Surprise her with this 3 stone engagement ring and see her eyes brighten in wonder. 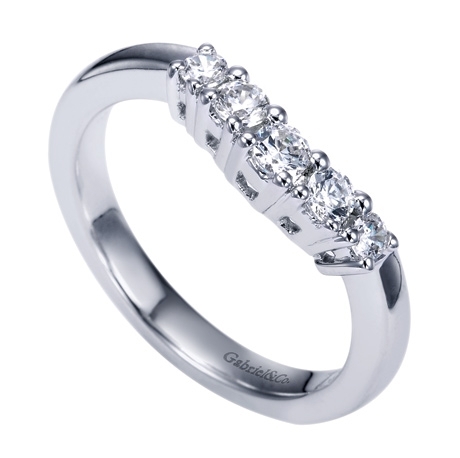 The classic look of this three stone engagement ring is complimented by its contemporary finish in this white gold or platinum 3 stone engagement ring.